Disruptive changes to business models will have a profound impact on the employment landscape over the coming years. 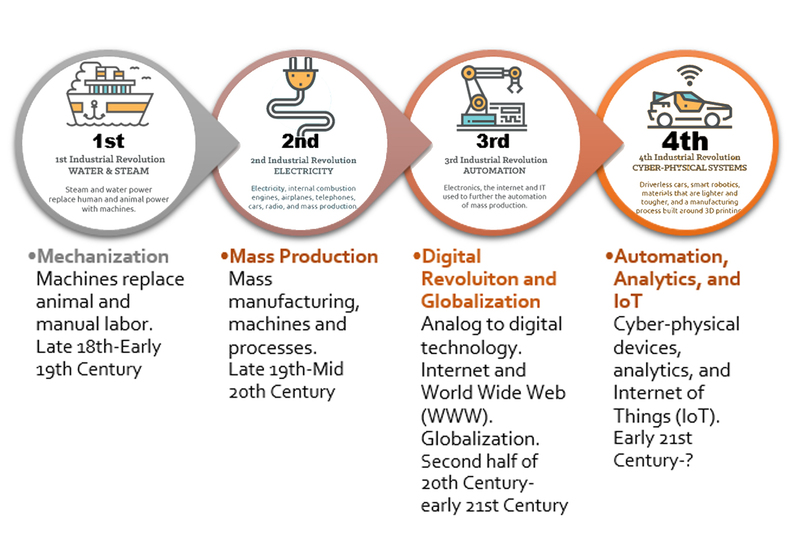 Many of the major drivers of transformation currently affecting global industries are expected to have a significant impact on jobs, ranging from significant job creation to job displacement, and from heightened labor productivity to widening skills gaps. 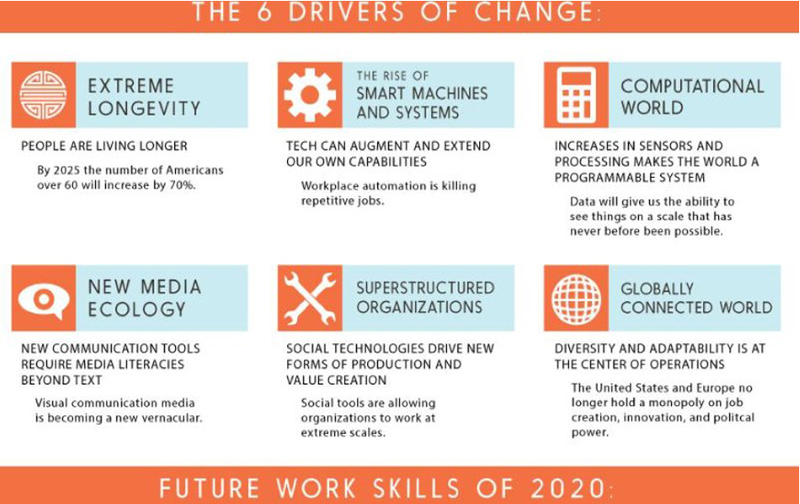 In such a rapidly evolving employment landscape, the ability to anticipate and prepare for future skills requirements, job content and the aggregate effect on employment is increasingly critical for businesses, governments, and individuals in order to fully seize the opportunities presented by these trends - and to mitigate undesirable outcomes. We are today at the beginning of a Fourth Industrial Revolution. Developments in previously disjointed fields such as artificial intelligence and machine learning, robotics, nanotechnology, 3D printing and genetics and biotechnology are all building on and amplifying one another. STEM subjects are prime fields to study if you like the idea of building a career based around an exciting new technology, and a degree in any STEM subject (science, technology, engineering and mathematics) can be the first step towards making a contribution to the next stage of technological innovation. Perhaps you’d like to specialize in robotics engineering, nanoscience and nanotechnology, 3D printing, or maybe you want to earn a Cyber security degree. Whichever area of new technology you’re interested in, studying STEM subjects can lead on to careers in each area. Just because you want to pursue a career in new technologies, that doesn’t mean you necessarily need to study that exact technology right from the start. As with many areas of expertise, it is essential that you first learn the basics – the fundamentals of your area of interest. Depending on your desired specialization, this basic knowledge can be provided across STEM subjects and related technology degrees, including biological science, biomedical science, chemistry, computer science, engineering (electrical, mechanical, chemical, civil, aeronautical, etc.) materials science, math, medicine, pharmacy, pharmacology, and physics. 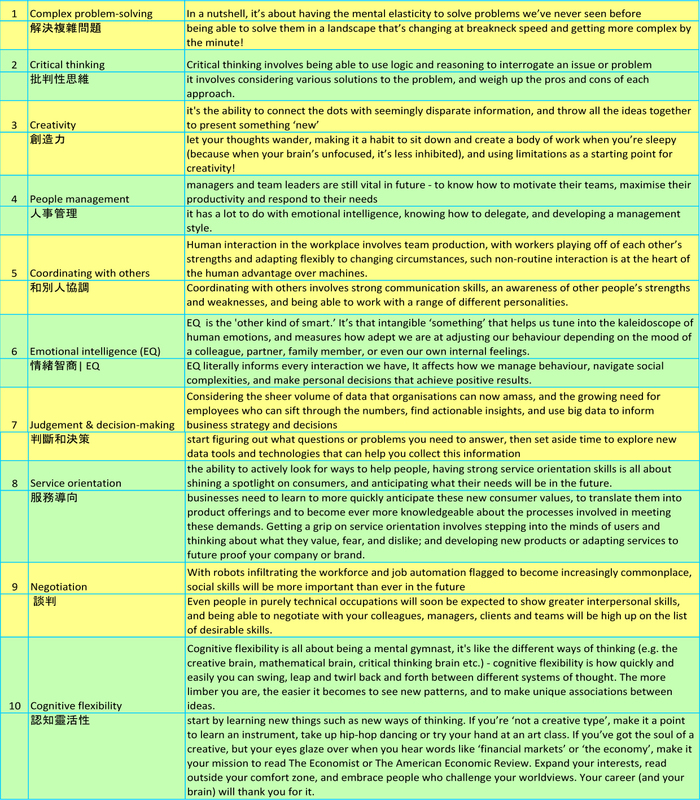 These initial pathways will define the way in which you study the new technology in question, so you should take time to consider which route to take. If you’re interested in innovating medical technology, then biology, chemistry and medicine would each give you foundational knowledge of the sector. Meanwhile, if you want to go into robotics engineering, a first degree in mechanical engineering could be a wise choice. Although in the first year of most technology degrees you’ll be focusing on the fundamentals, when choosing a program it’s important to consider which universities offer advanced modules in your specific area of interest. Although not all technology degrees will offer modules with a specific focus on new technologies, most will offer some sort of specialization in your second and third years of study, giving you the chance to hone your studies towards a career in new technology. For further details, please don’t hesitate to call Litz on 23919713 to find out more. Smart systems - homes, factories, farms, grids or entire cities - will help tackle problems ranging from supply chain management to climate change. Concurrent to this technological revolution are a set of broader socioeconomic, geopolitical and demographic developments, with nearly equivalent impact to the technological factors. Industry 4.0 will be marked by lightning-speed advancements and mind-boggling change as it brings together advances in digital, physical and biological technologies. Industries earmarked to revolutionise the future and generate billions if not trillions for the global economy include genomics, artificial intelligence and virtual reality. 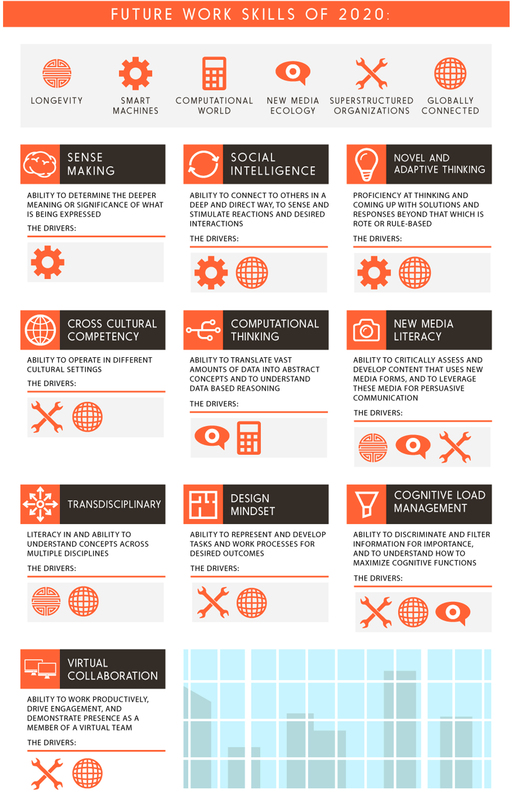 In 2016, the World Economic Forum has released The Future of Jobs report revealing the top 10 skills you’ll need by 2020. Describing the trends we should expect, the report states: "more than 5.1 million jobs lost to disruptive labour market changes over the period 2015–2020, with a total loss of 7.1 million jobs—two thirds of which are concentrated in routine white collar office functions, such as Office and Administrative roles—and a total gain of 2 million jobs, in Computer and Mathematical and Architecture and Engineering related fields." While impending doom may not seem that far away, the study does present the problem as an opportunity for employers to equip workers with a more secure skills set. Also, technology and Internet applications have made it easier to coordinate work at a distance. In this environment, work becomes about outcomes, not about a “place.” Face time can be adjusted as needed, of course. 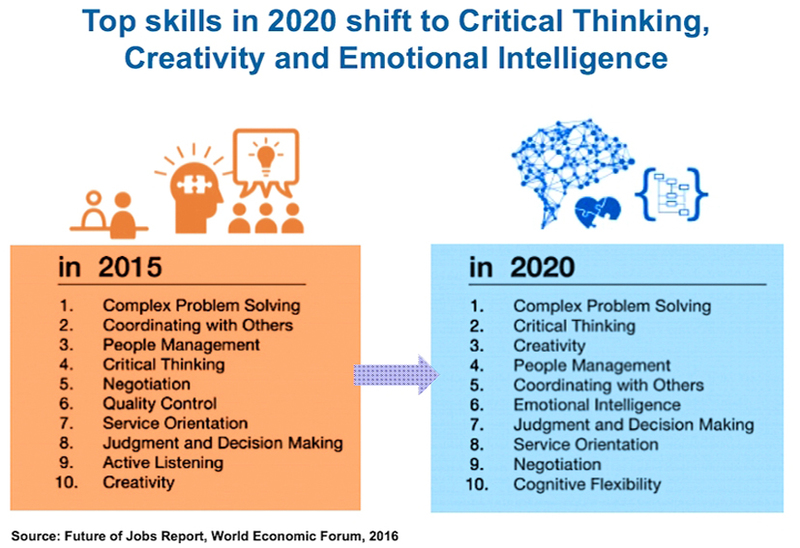 According to the WEF, in order to outperform our robotic competition, we will need to foster skills around critical thinking and creativity.